Playing instruments; elements of music; perform; compose; criticism; producing sounds; conducting patterns; demonstrating components essential to the production of characteristic tones; sight-reading unison literature and rhythms; developing full spectrum of scales; developing mastery of rudiments; history- includes marching and concert. $20 course fee. Class List: Band Level I (year), Band Level II (year), Band Level III (year), and Band Level IV (year). 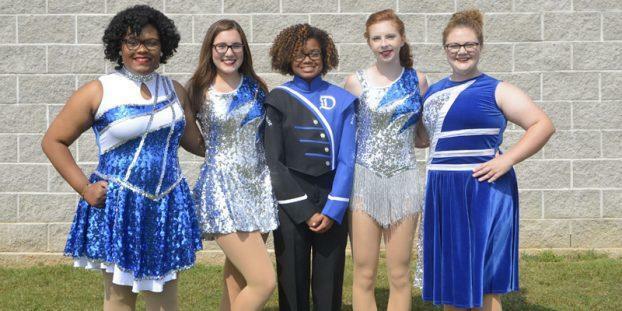 This course is open to the marching band dance-line, color-guard, and majorettes. Instruction will include movement basics, equipment basics of flag, rifle, and baton, performance observation and analysis, and basic design, and choreography. 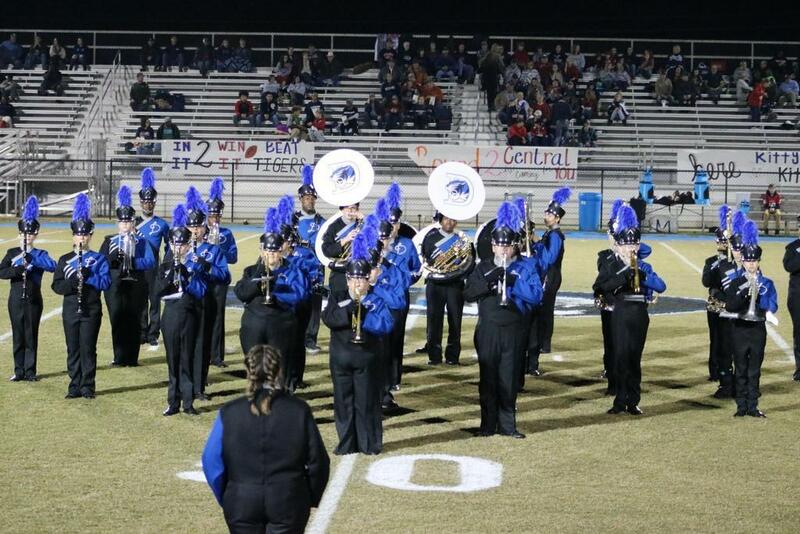 Required performances may include but are not limited to: DHS football games, pep-rallies, marching contests, parades, Christmas Concert/ Recital, and other community performances. Prerequisite: Audition and Director Approval. Grades 7-11 are eligible to audition. Class List: Dance Level I ( fall semester), Dance Level II (fall semester), Dance Level III (fall semester).